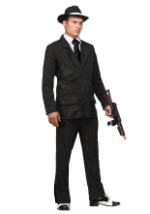 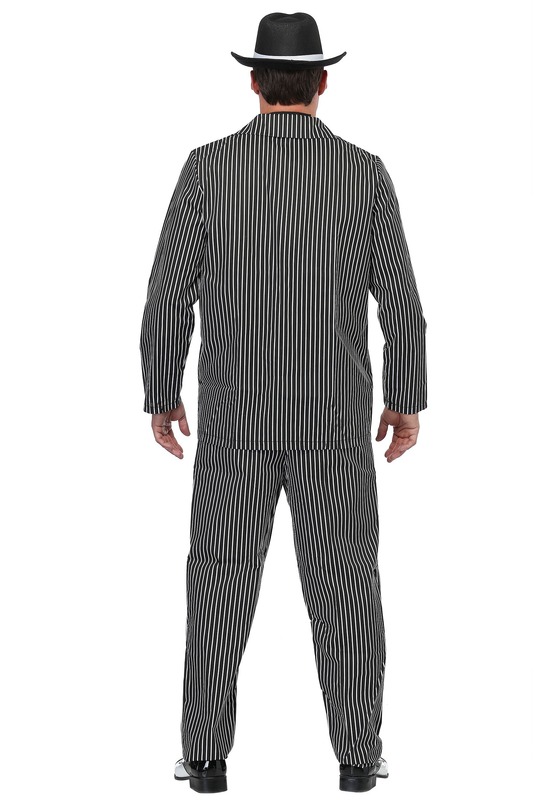 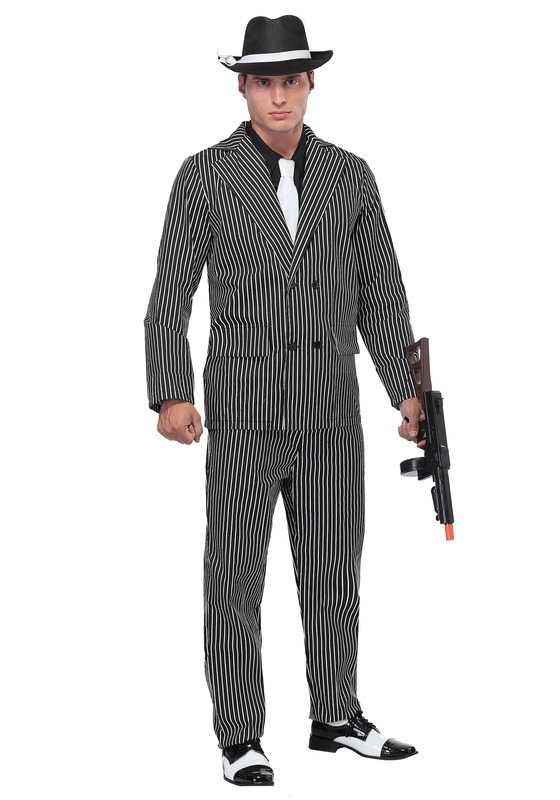 You'll be lookin' sharp in this stylish, plus size 20's gangster costume. 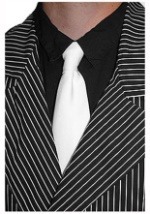 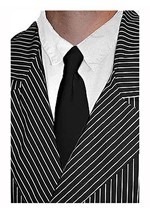 The cotton and polyester costume consists of a double breasted, black & white pinstripe jacket, matching slacks, and a sharp white tie attached to a black, mock shirtfront. 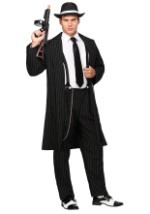 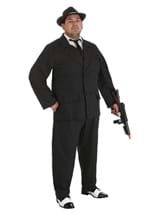 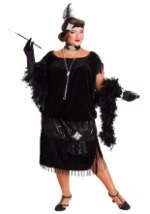 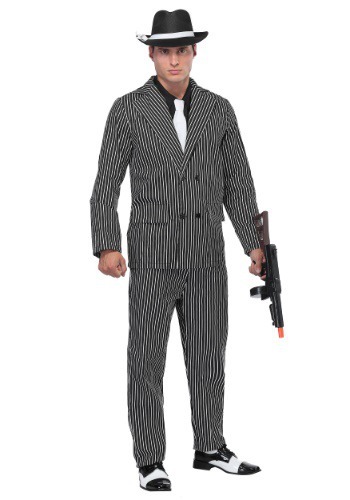 This classic, plus size gangster costume is sure to have you cutting a rug with dames this Halloween! 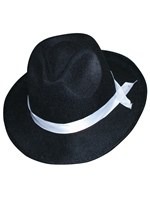 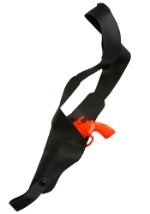 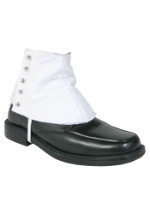 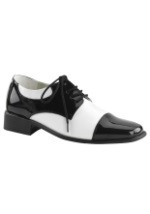 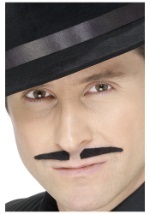 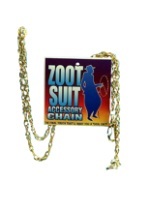 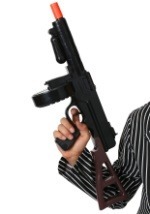 Check out our swell gangster and 20's accessories to enhance the look of your costume.